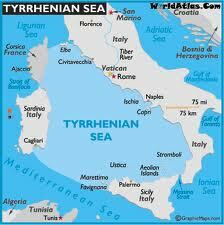 The Tyrrhenian Sea was clearly an important part of the Atlantean domain. 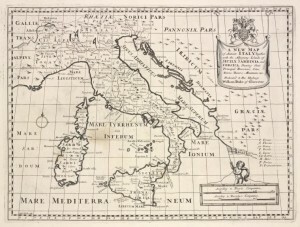 Plato clearly states that Atlantis controlled Europe as far as Tyrrhenia (Critias 114c), which implies that dominated the southern half of the Italian peninsula. The Sea is surrounded by the islands of Corsica, Sardinia, Sicily and the Lipari Islands as well as continental Europe in the form of the Italian mainland. Not only does it contain islands with an adjacent continent (see Timaeus 24e). It is also accessed through the straits of Messina and Sicily, both of which have been identified as locations for the Pillars of Heracles before Eratosthenes applied that appellation to the region of Gibraltar. Timaeus 24e-25a as translated by Bury reads “there lay an island which was larger than Libya and Asia together; and it was possible for the travellers of that time to cross from it to the other islands, and from the islands to the whole of the continent over against them which encompasses that veritable ocean (pontos=sea). For all that we have here, lying within the mouth of which we speak, is evidently a haven having a narrow entrance; but that yonder is a real ocean (pelagos=sea), and the land surrounding it may most rightly be called, in the fullest and truest sense, a continent.” Similarly, Lee and Jowett have misleadingly translated both pontos and pelagos as ‘ocean’, while the earliest English translation by Thomas Taylor correctly renders them as ‘sea’. Modern translators such as Joseph Warren Wells and a Greek commentator George Sarantitis are both quite happy to agree with Taylor’s translation. However, Peter Kalkavage translates pontos as ‘sea’ but pelagos as ‘ocean’! For me, there is a very strong case to be made for identifying the Tyrrhenian Sea as the ‘sea’ referred to by Plato in the passage quoted above. However, it was probably F.Butavand, in 1925, who first proposed the Tyrrhenian as the sea described by Plato in his La Veritable Histoire de L’Atlantide . Pushing the boat out a little further, I note that Rome is situated in Central Italy and by tradition was founded by the twins Romulus and Remus! 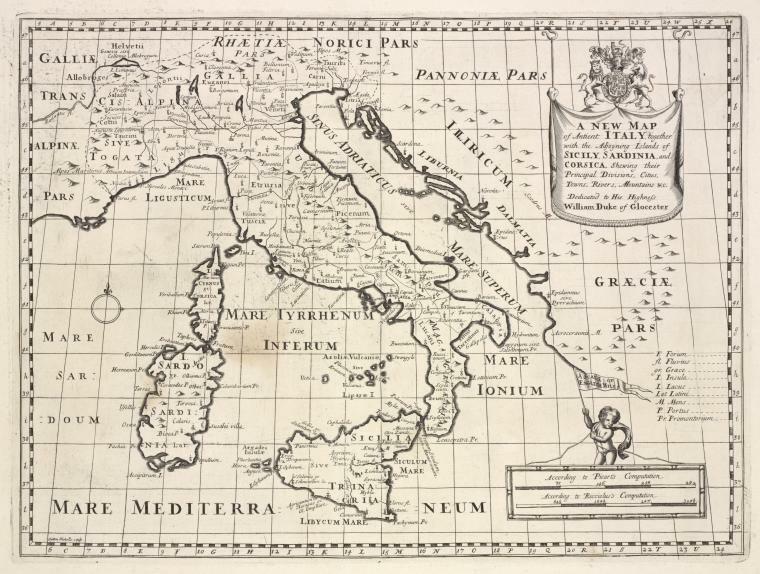 A 1700 map of the Tyrrhenian Sea is available online. ‘Tyrrhenia’ is sometimes used as a geological term to describe a sunken landmass in the Western Mediterranean Basin(b)(c).